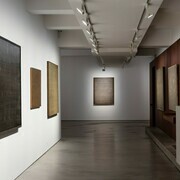 Laurent Grasso: The Panoptes Project at Olivier Malingue, London. Photo: Marcus Peel. 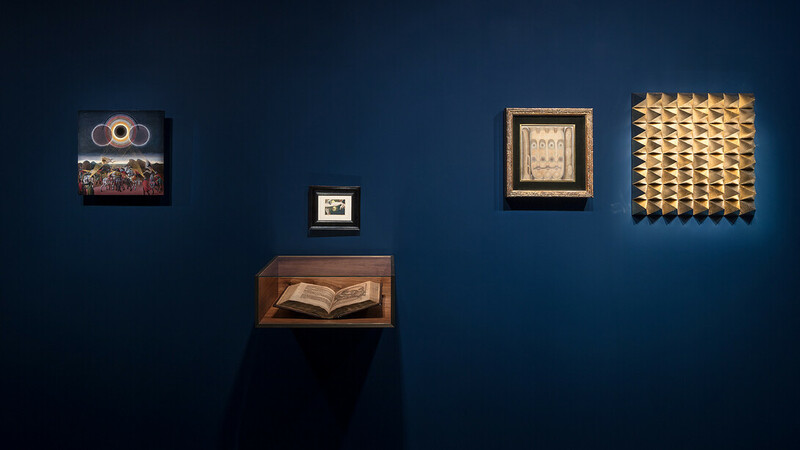 Immersing the viewer in an environment full of scrutinising gazes, “The Panoptes Project” exhibition presents different artworks that show a constellation of eyes, mixing different media and periods, like a surrealistic collage. Echoing the myth of Argos Panoptes, a giant covered with a myriad of eyes, the exhibition draws on Laurent Grasso’s long-standing interest for the Foucauldian surveillance gaze (Visibility is a Trap, 2012), as well as systems for astrological observation (Specola Vaticana, 2014), or the entoptic vision (Vertigo, 2007). 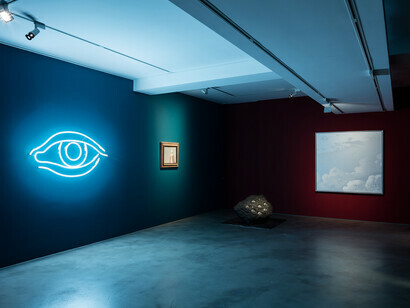 At Olivier Malingue, Laurent Grasso has selected historical pieces by Max Ernst, René Magritte, Francis Picabia, and Odilon Redon, among others, to be shown alongside his own new and past works. 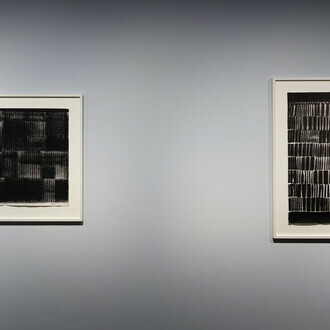 Juxtaposed according to a subjective principle similar to Surrealist free association, the works produce a general atmosphere where the viewer’s reference points are distorted. 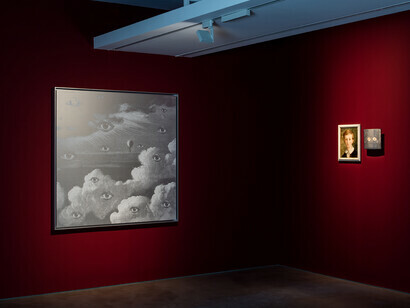 On several occasions, Laurent Grasso has had the opportunity to combine his work with other historical or contemporary works, choosing to upend the classic codes of museography to create a general framework of immersion haunted by ghosts: “Paramuseum” (Palais Fesch-Musée des Beaux-Arts, Ajaccio, 2016), “Purkinje Effect” (Galerie 1900-2000, Paris, 2013), “Portrait of a Young Man” (Bass Museum of Art, Miami, 2012), “Memories of the Future” (Sean Kelly Gallery, New York, 2010). The common denominator between the historical, mostly Surrealist, pieces and Laurent Grasso’s works is the exploration of the gaze. 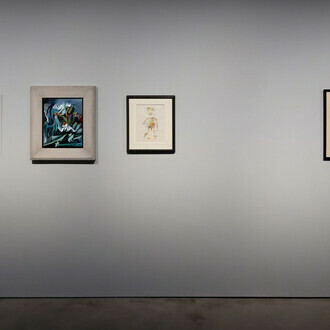 Spanning centuries of questioning about what seeing means, the artist puts into perspective antique beliefs about the eye as a source of light, scientific Renaissance treatises about the eye’s anatomy, Surrealist approaches to vision as spirituality, and materialist conceptions of the eye as a physical, concrete organ. 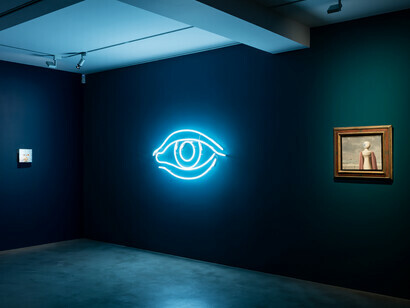 Alluding to these issues, Laurent Grasso displays on midnight blue or burgundy walls existing works as well as paintings, sculptures and neon installations specifically created for the exhibition. 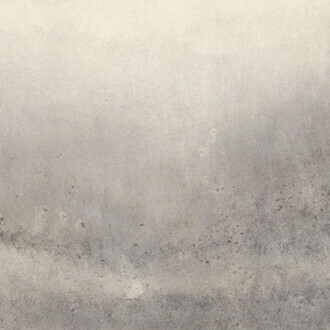 The viewer is scrutinised by a landscape painting covered with floating gazes or a silver surface with emerging eyes. He faces a mysterious black rock echoing Zechariah’s vision and a film (Satellite, 2007) in which French actress Carole Bouquet’s eye is scrupulously examined by the camera. 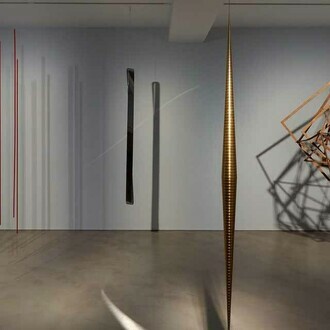 The opening of the show in October 2017 coincided with the gallery’s first participation in international art fair Frieze Masters.